In June 2016 I headed off the Ecuadorian tourist trails and into the fringes of the Amazonian rain forest, where I spent time volunteering with some amazing Amazonian wildlife. I was based at a wildlife sanctuary which is home to almost 250 animals covering 35 species. This was certainly heaven for me as a wildlife and animal lover! Whilst I was volunteering I had the pleasure of helping some caiman crocodiles, some coatis (so super cute! 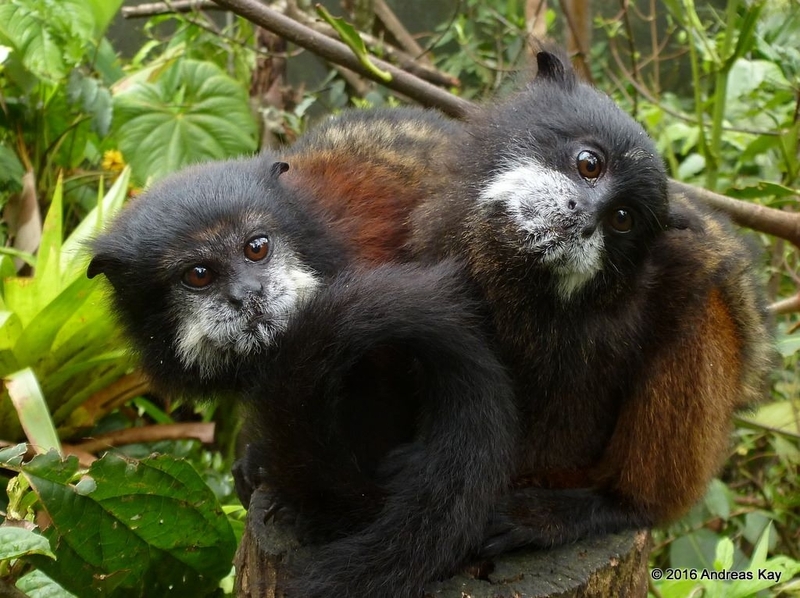 ), some forest cats, lots of different and incredibly colourful birds, some fabulously cheeky monkeys and so much more. 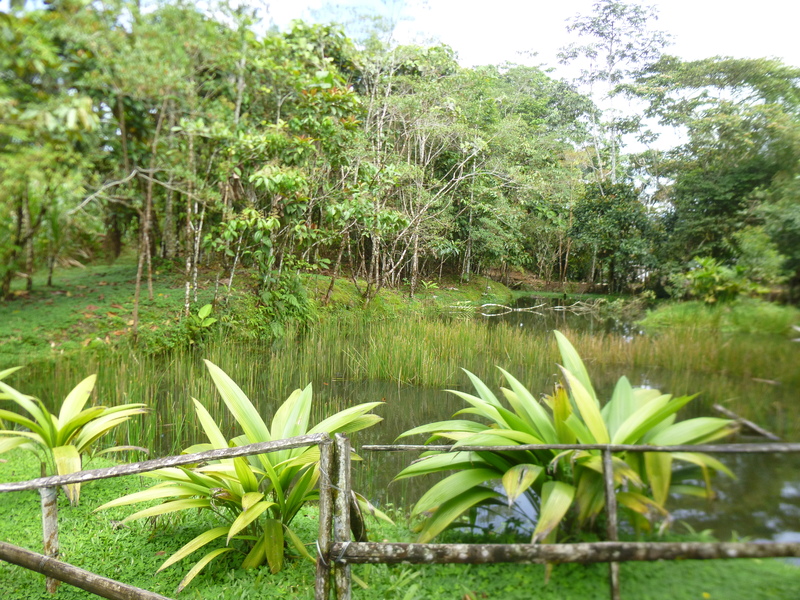 The sanctuary extends over an area of land of 8 hectares, where 4 of those are left as rainforest, and the other 4 provide an incredible home to these rescued animals. Sadly the Amazonian wildlife that calls this sanctuary home have come from a mixture of sad backgrounds. 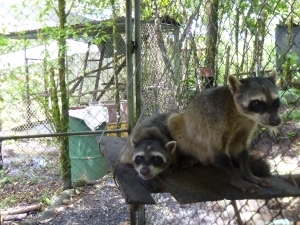 Mainly from the illegal pet trade, but also from poorly-run zoos and from individual owners, these animals have been stripped of their right to live in the wild and have been treated recklessly by humans. Luckily for all of the animals that live here now, they have the opportunity to live a life as close to the wild as possible in these stunning surrounds. I joined a fantastic group of volunteers from all over the world, all united in our passion for animals and desire to make a difference. We would wake up early ready to start work at 8am. The day always started with food preparation for the many animals here, and we all sang along tunelessly to music from someone’s phone as we worked. We then all headed out into different areas of the sanctuary to ensure all of the animals in our care received their food. As the sanctuary is so big, quite a bit of the feeding round is walking to get to the enclosures! When you get there you have the pleasure of seeing the animals, and experiencing their delight at their food arriving. Once this important task was done, we would all hit the decks to help out with cleaning enclosures and doing general enrichment tasks. Several people would peel off to help with making lunch for our hungry tummies. This was always on a rota and we were continually amazed by some of the culinary creations that we tried each day. There is some good down time at lunch time to check wifi, relax and chat with other volunteers. After a hearty lunchtime feed we would be off again at about 14.00 to do the afternoon feeding, enrichments, building, painting, general maintenance – or whatever tasks needed doing around the sanctuary at the time. It is great to know that all you are doing is for the benefit of these amazing animals. Each morning I woke up excited for what the new day would bring, and I was never disappointed. 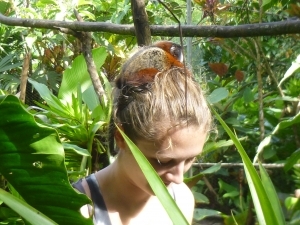 To learn more about Anne’s experience at the Amazonian wildlife sanctuary, check out our wildlife sanctuary volunteering webpage.